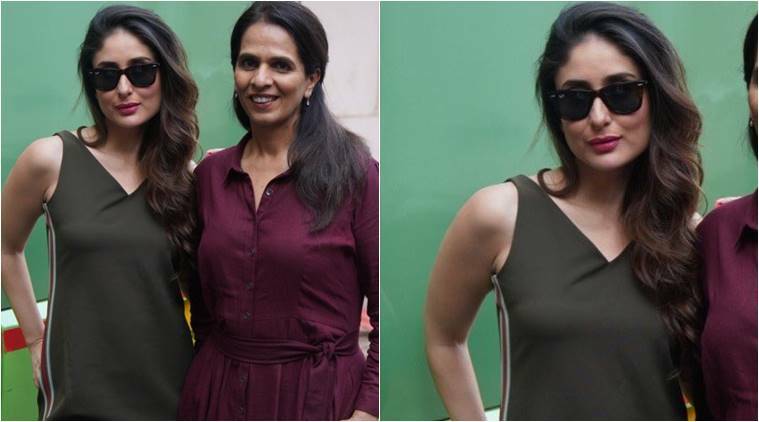 Recently, Kareena Kapoor Khan was spotted at Mehboob Studio along with designer Anita Dongre, and for her casual look, she picked an olive green number from AND. Check out the pictures here. 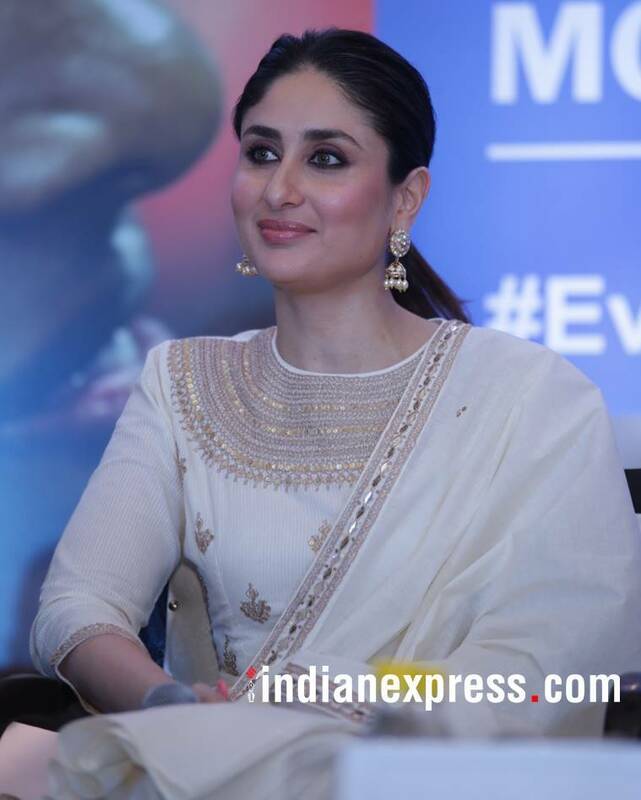 Kareena Kapoor Khan doesn’t always need designer couture to grab our attention, she manages to hit the right notes with regular casual wear also. Be it a cool cotton dress or her easy airport outfits, channelling chic vibes comes easy to the Veere Di Wedding actor. Recently, she was spotted at Mehboob Studios along with designer Anita Dongre, and for her casual look, she picked an olive green number from AND. The comfortable looking V-neck piece with stripes on either side gave off a lazy and laid-back feel and we think it is ideal for a hot summer day. 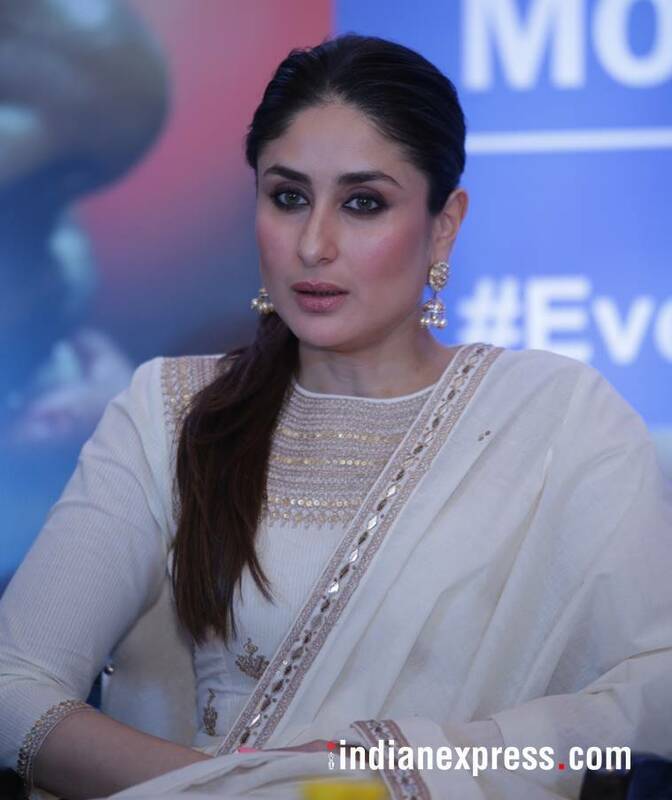 Kareena gave accessories a miss and complemented the sleeveless dress with a pair of sunnies. Minimal make-up, soft pink lips and hair styled into soft waves rounded out her look nicely. Earlier, we had seen the actor step out in a Punit Balana double-layer anarkali. The cream-hued, quarter-sleeved piece had intricate gilded patterns along the neckline that were complemented by paillette work. The peplum kurti of the anarkali was layered with a matching dupatta and stylist Tanya Ghavri accessorised the look with gold jhumkas and a cocktail ring. Though the outfit was attractive, the makeup was even more so. For the event, the actor sported a dewy sheen with highlighted cheekbones, kohl-lined eyes and glossy pink-tinted lips. She rounded off her look with her sleek hair coiffed in a ponytail. What do you think of the actor’s look this time? Let us know in the comments’ below.